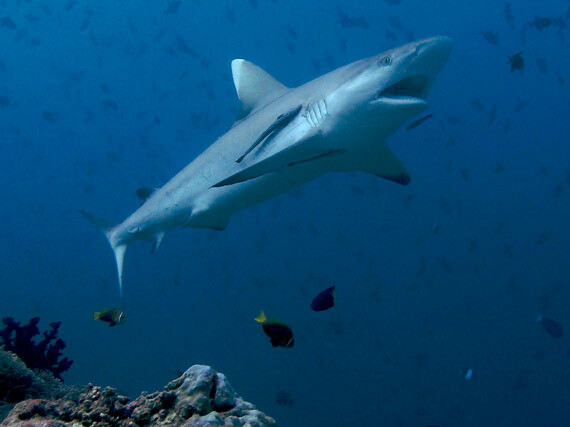 Scuba Tours Worldwide is introducing two ‘Shark Specials’ in the Maldives in 2015, travelling through seven of the southern atolls. The specials will concentrate on delivering the very best diving-with-sharks opportunities available. The majority of dive sites visited are channels where large numbers of grey sharks, silvertips and even hammerheads can be seen. These are classic hook-in-and-look sites. This route will also offer the famous night dive with huge nurse sharks, stingrays and pink whip rays. These are exciting, challenging safaris with a route that includes some sites which are very rarely dived. STW says they will suit experienced divers (minimum 100+ logged dives) who are happy in fairly strong currents and making fast descents. As the majority of sites will require divers to stay around 30m for extended periods, nitrox certification would be an advantage. The first Shark Special trip will cruise from South Male Atoll and meander south via Felidhoo, Vattaru, Mulaku, Thaa, Laamu and Huvadhoo Atolls with a domestic flight back to Male at the end of the trip (the second trip follows the reverse itinerary). For more information, give Scuba Tours Worldwide a call on 01284 748010, email sales@scubascuba.com or visit www.scubascuba.com.